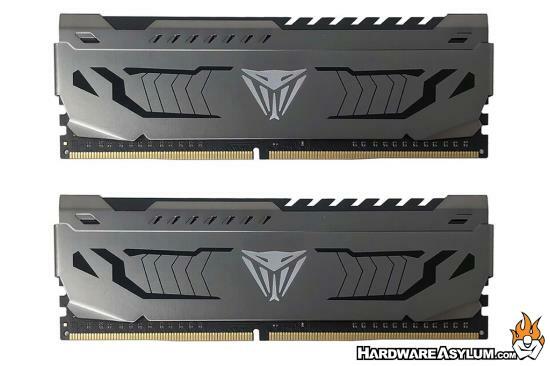 Taipei, Taiwan-December 7th, 2018- Thermaltake releases Pacific R1 Plus DDR4 Memory Lighting Kit to offer an easy solution for coloring up memory modules. 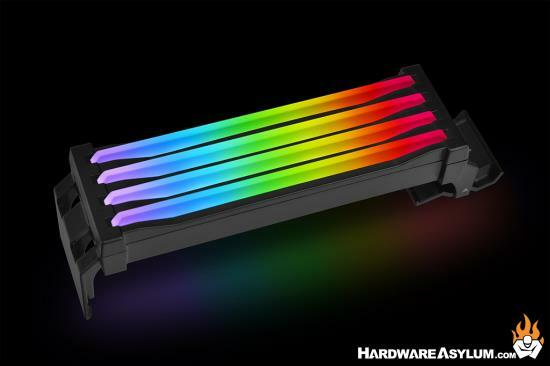 The RGB memory cover for DDR4 memory module that supports motherboards with 4 DIMM channels features 36 addressable LEDs with 16.8 million colors can be controlled with Patented TT RGB PLUS software and synchronizes with ASUS, GIGABYTE, MSI, AsRock 5V motherboard RGB software. With user-friendly engineered design, R1 can be easily clipped on to the DIMM channel bracket, therefore, users do not need to have all four RAM sticks installed to place R1 and enjoy the RGB effects. It is also compatible with most generations of memory modules on the market, including DDR4, DDR3, and DDR2. The wide range of compatibility benefits most PC DIY users. Pacific R1 Plus DDR4 Memory Lighting Kit offers an easy way for your memory module to outshine the rest! The 3600MHz 16GB (8GBx2) CL16-18-18-36 1.35V DDR4 kits meets the memory needs for any gaming system using the latest Intel platforms and is an excellent solution for first time overclockers. The 3200MHz 16GB (8GBx2) CL14-14-14-34 1.35V DDR4 kits are compatible with both Intel and AMD AM4 platforms and feature a low latency design to enhance performance and offer the most affordable upgrade option for users. The SUPER LUCE RGB SYNC Series modules are wrapped in a matte metallic black and the sleek white heat spreader, the RGB lightbar appears more vibrant than ever with the purpose of offering better performance, hundreds of customizable RGB lighting combinations and a characteristic new look. Performance and heat dissipation are a significant factor in desktop computers especially when users overclock their system. 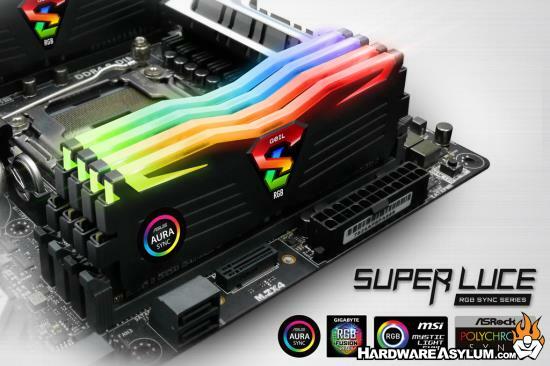 To help alleviate the stress, SUPER LUCE RGB SYNC Series features high-quality aluminum heat spreader that works to dissipate heat while maintaining performance and stability even while overclocking highest frequencies. 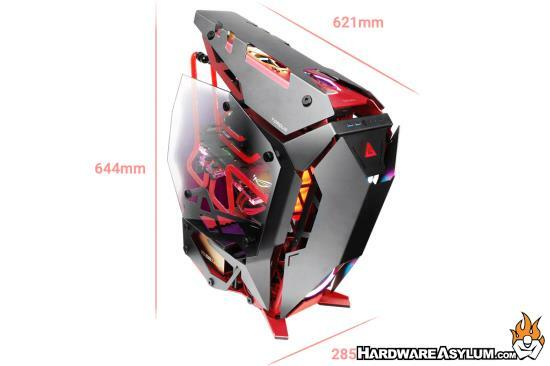 In addition, the heat spreader designed with the aesthetic LED illumination light bar on the top, the top-lid lightbar fully compatible with the motherboard RGB illumination APPs including ASUS Aura sync, GIGABYTE RGB Fusion, MSI Mystic Light Sync, and ASROCK Polychrome sync. The SUPER LUCE RGB SYNC Series provides the largest compatibility and stability for case modders and gamers when paired with the biggest motherboard RGB illumination playground. GeIL SUPER LUCE RGB SYNC Series is verified to offer an ultra-stability support for pro-gamers and overclockers, which guarantees a hassle-free game playing environment and fully backed by the GeIL limited lifetime warranty. GeIL SUPER LUCE RGB SYNC Series are now available at select retail and e-tail outlets. So, it is no secret that watercooling is "the hot thing" right now when it comes to custom PCs. The YT guys do builds for various reasons, watchers of YT content trigger off someone filling a loop with the 24-pin power connected and experienced builders like myself pretty much go "pfft" at all of it. Gigabyte is getting on the EVGA and ASUS bandwagon to capture some of that custom waterblock action, adding their own brand of RGB and even hotclocking the cards 140Mhz to make them worth buying. These are factory overclocked models with relatively aggressive boost clocks. 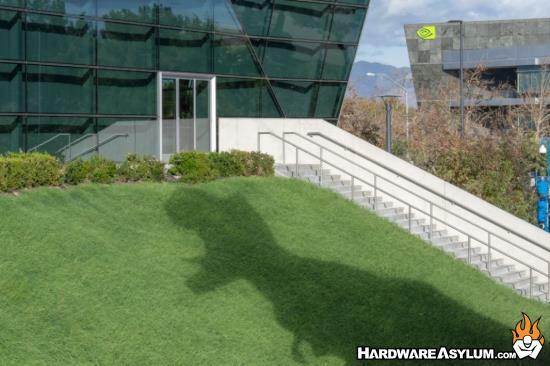 The 2080 Ti boosts to 1,770MHz, which is 225MHz faster than Nvidia's reference blueprint, and 135MHz higher than Nvidia's own overclocked Founders Edition model. Similarly, the 2080 hits a 1,890MHz boost clock out of the box. That's 180MHz faster than reference, and 90MHz higher than the FE model. Gigabyte also goosed the memory on both cards, to 14,140MHz (up from 14,000MHz). There could be headroom to spare. To help keep things stable, Gigabyte opted for a 16+3 power phase design on the 2080 Ti and a 12+2 power phase design on the 2080. Both cards are backed by a four-year warranty. Be sure to check out the post over at PC Gamer to get all of the hot and juicy details including photos, specs and speculation. On a side note I do like that these are custom PCBs making them not only better in the PC but better for you too.